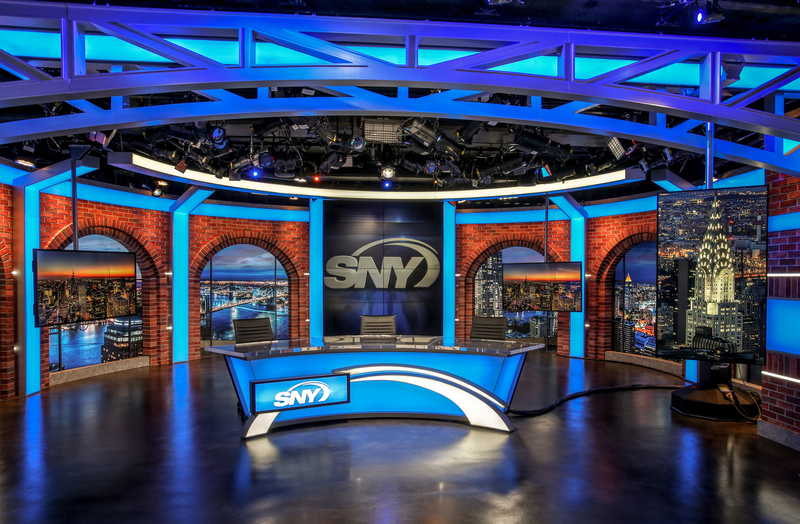 SNY, the television home of the New York Mets and Jets, will officially open its Lower Manhatten broadcast facility this weekend, moving from its former studios at the Time-Life Building. 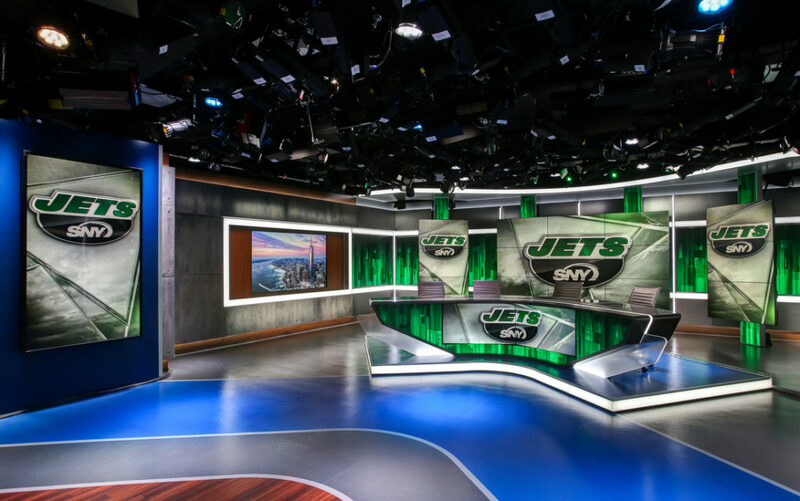 The production space, located on the 50th floor of 4 World Trade Center, totals 26,856 square feet and includes three studios and two control rooms, with SNY’s corporate offices on the 49th floor. The first broadcast from the location will begin at 10:30 p.m. Saturday with an edition of GEICO SportsNite. The three studios, from Jack Morton PDG, utilize 3,700 square feet of the facility and include 50 monitors and 360-degree views via a series of rooftop cameras atop World Trade Center Buildings 4 and 7. Telemeasurements provided the AV integration, with lighting from The Lighting Design Group and fabrication by Mystic Scenic Studios. 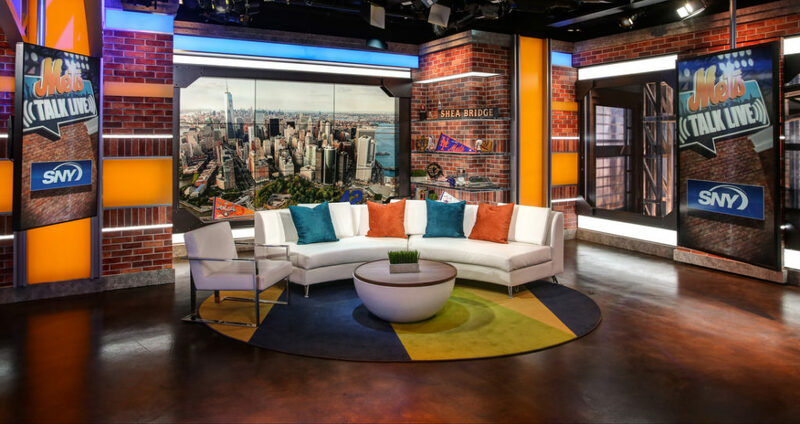 Studio 31, in honor of Mets Hall of Famer catcher Mike Piazza, will serve multiple sports and uses, including the New York Jets and UConn Huskies, as well as the network’s news and entertainment programs. The multi-purpose studio is designed with flexibility in mind, using LED lights with greyscale graphics to change looks based on teams or programs. Studio 42, named after Brooklyn Dodgers legend Jackie Robinson, features a real view of Brooklyn and the East River, and will serve as SNY’s breaking news center as well a backdrop for one-on-one interviews.